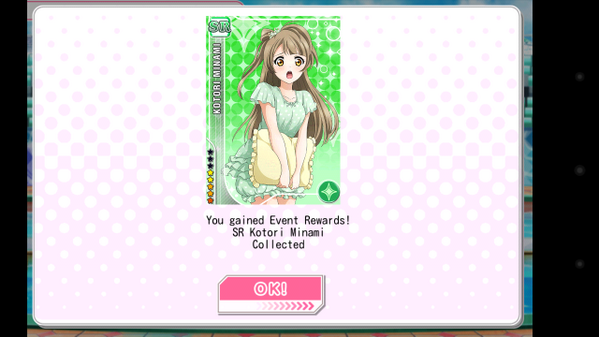 I just obtained ”SR Kotori" of the reward by anevent carried out. I leaked a lot of LPs, but achieved an aim somehow. Even LoveLive! SIF English edition tries so hard that I can continue getting a reward. The thyme bonus that a coin gets double is held now. I want to accumulate G even a little before it's too late.